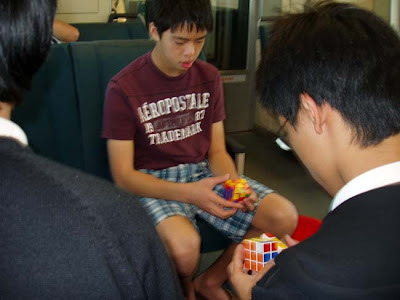 on the BART, we met a Rubik's Cube club on their way to a competition in Berkeley. Their group name is Three Cubed. 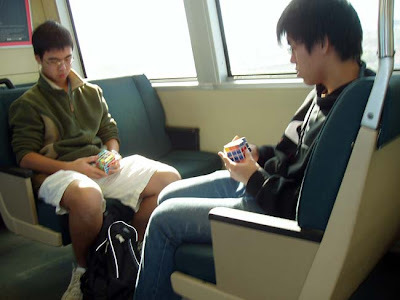 They claim to each be able to solve the Rubik's Cube at an average of 20 seconds. 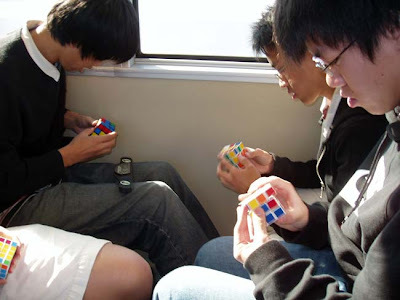 On the ride there, one of the guys solved it in 16 seconds!! !